Take part in the Ranking Tournaments held all across the Asia region to earn ranking points! These points will enable you to take part in the Rank-Up League and get seeded for the Asia Championships! Take part in the ranking tournaments with your deck that fulfills the latest Forbidden Card List! 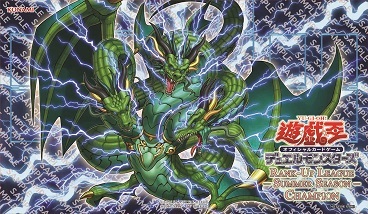 Card Legality: Only Japanese, Asia English and Traditional-Chinese language cards. The ranking points would count towards a seasonal ranking score which is accumulated through the ranking tournaments. Invitations will also be given out to take part in the annual Asia Championships for the ranking champions of the combined seasons! 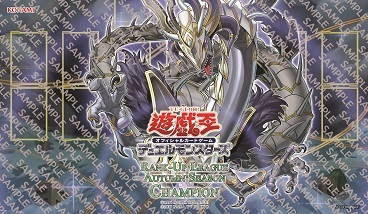 After each season is completed, each area will host a Rank-Up League, which the top ranking players from that season will be invited to duel for the throne of the season's champion. 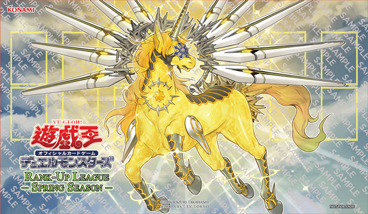 The top 32 duelists who participate in the Rank-Up League will receive a Rank-Up League Participation Duel Field. 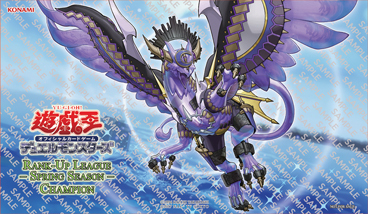 Note: You must participate personally in the Rank-Up League Tournament to receive the Participant's Duel Field. 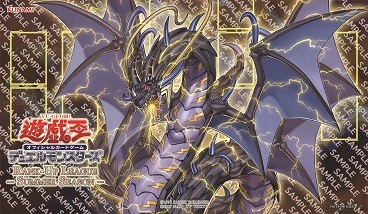 If you do not attend the tournament personally, you will not receive the duel field. The details for each region's Rank-Up League will be announced separately by each region's local tournament organiser. 2 invites will be given for each country to their top rankers to take part in the Asia Championship main event! Note: This prize only grants participation rights to the Asia Championship main event. The winner will have to make his/her own flight and accommodation arrangements. If rejected, the prize will be passed on, limited to the top 8 rankers. 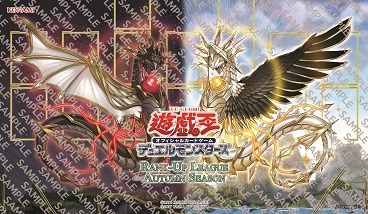 More updates and future Rank-Up League mat designs will be updated at a later date. Please visit Konami Card Game Network to view your ranking.